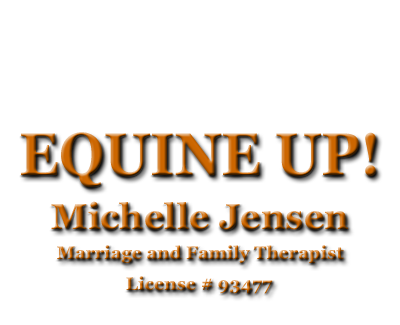 Hello, my name is Michelle Jensen, a Licensed Marriage and Family Therapist #93477. I graduated from California State University Dominguez Hills in Southern California in 2012 with a Masters Degree in Marriage and Family Therapy. I have been practicing professionally since graduation, and have come back to my roots in the central valley to build my practice. Currently I see clients in my office and outside in nature. I am also a horsewoman. I have worked professionally with horses for the past 35 years. First managing racehorses on a farm in Tracy California, then following the horses to Southern California where I exercised them for 25 years. 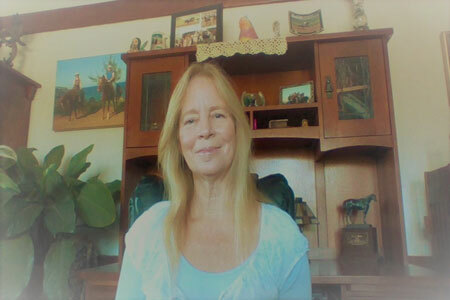 I earned a Master’s degree in Marriage and Family Therapy all the while working as an assistant to a very successful trainer on the Southern California Racing Circuit. I managed and helped train 2005 Kentucky Derby winner Giacomo. I received an Eclipse Award for my work with the great and legendary racehorse Zenyatta. These working experiences have refined my horsemanship skills to be a successful equine therapist. I am a certified Equine Specialist through EAGALA, (Equine Assisted Growth and Learning Association). I have two horses that are my therapy partners: Blue and Levi. Please visit their page here.